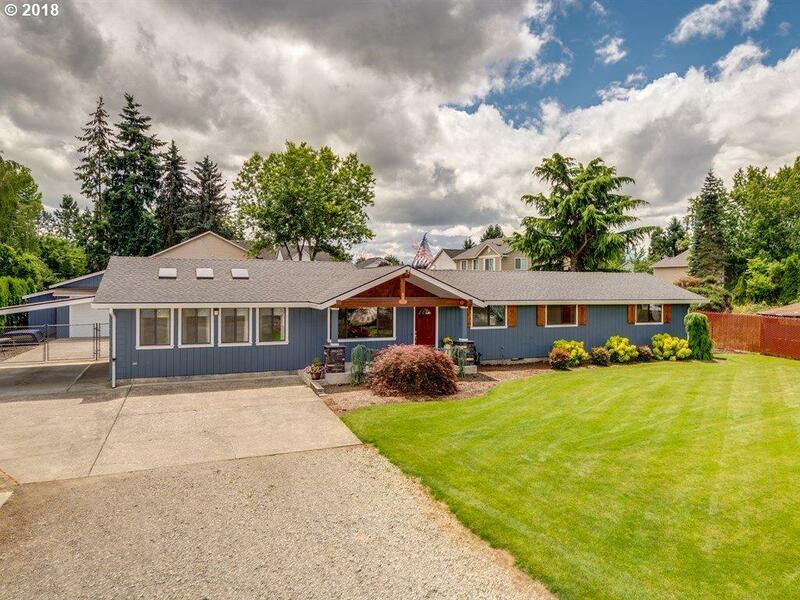 Fully Remodeled Ranch Home on Private Drive! Easy Commute to Everything! Open Floor Plan w/ Great Room Concept! Kitchen w/ Built-In Appliances & Eat Bar! Dining & Office! Master w/ WI-Closet & Bath! Hardwood & Tile! Custom Veranda, Great for Entertaining w/ Stamped/Stained Concrete, Exposed Beams, Hot Tub, Bar, Built-In Speakers & Lighting! .43 Acre Lot w/ 29 x 36 Sq Ft Detached 2 Car Garage w/ Shop & 3 Storage Units, Bring the Toys!